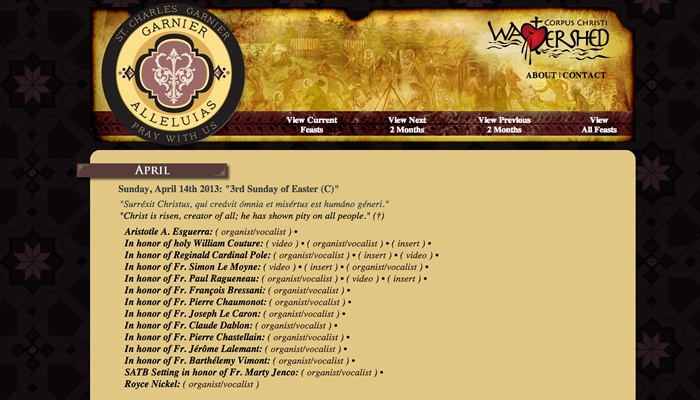 The new website garnieralleluias.org has thousands of free PDF scores for the Gospel Acclamation (Catholic Mass). Some might be interested to know that we have composed and posted more than 2,000 Gospel Acclamation (“Gospel Alleluia”) organist & cantor scores. Here’s an alternate URL link where you can access these free scores.
. . . and don’t forget to click with your mouse to “navigate” to the correct nodes.